The Kansas primary election is Tuesday, but some gubernatorial candidates are already looking ahead to November’s general election. On Monday, Greg Orman who is running as an Independent in the governor’s race dropped off more than 10,000 signatures to the Secretary of State’s Office in order for his name to end up on the November ballot. “10,000 Kansans have signed a petition saying they want another choice in November. The two parties are working for them, they want to elect candidates who will tell the truth, who will solve problems,” explained Orman. However, Democrats are already gearing up to challenge the validity of the signatures collected. “That’s the first step in the process, making sure that what he turned in actually is a product of following the law and right now, we don’t believe that it is,” explained Will Lawrence an attorney and the chief of staff for Senate Minority Leader Anthony Hensley. According to the elections office, Orman needed to collect 5,000 signatures from any registered voter in the state. Those signatures also had to be collected by a person eligible to register to vote. Lawrence said vetting the signatures had nothing to do with the notion an Independent candidate could hurt Democrats in the general election. Political analyst Bob Beatty weighed in. “The fact of the matter is, in American politics when you have three candidates there is the potential for one to be a spoiler, to not get enough votes to actually win and therefore cause somebody else to lose that might have won,” explained Beatty. Aside from Orman, Independent candidate Rick Kloos is also on the November ballot and so is Libertarian Jeff Caldwell. “Third party candidates, including Libertarians in Kansas gubernatorial elections usually get from 1-5 percent depending on who is running,”Beatty said. 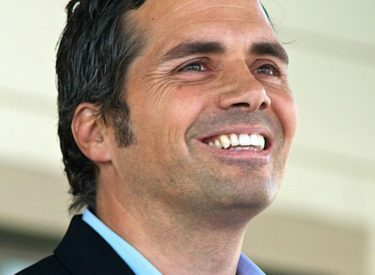 Orman said he’s confident all the signatures collected are valid and rejected any argument his candidacy sways the November election race in favor of Republicans. “I think the idea voters would have more choices on the ballot in November is only going to lead to better outcomes for them,” said Orman. Election officials said it’ll take two weeks to comb through all the signatures to determine how many are valid.